Alexander Ankvab, President of Georgia's breakaway region Abkhazia. Foreign Minister Sergei Lavrov is optimistic about the strength of Moscow's ties with Abkhazia despite the political conflict presently engulfing the small Russia-backed breakaway province of Georgia. "I am confident that relations between Russia and the Abkhaz republic are set to improve," Lavrov said following a meeting with Mauritanian Foreign Minister Ahmed Ould Teguedi on Monday. 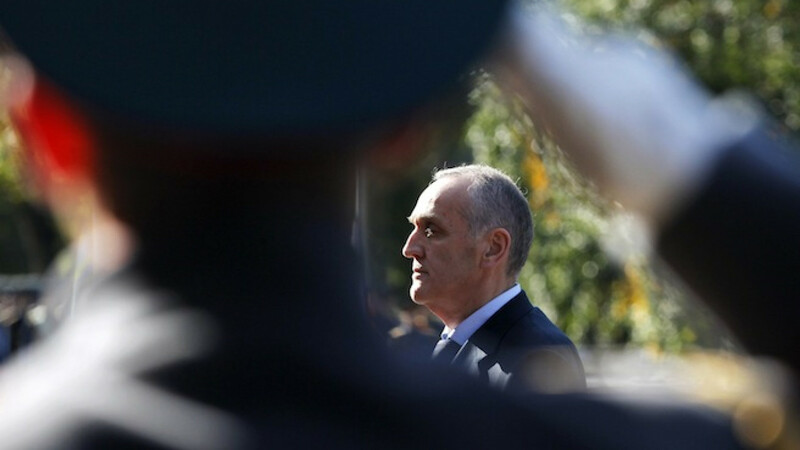 Alexander Ankvab resigned the Abkhaz presidency on Sunday after opposition activists stormed the presidential palace in the capital city of Sukhumi last Tuesday. Georgia has not recognized Abkhazia's independence. Paata Zakareishvili, the country's minister for reconciliations and civic equality, reiterated the fact on Monday that Tbilisi has never viewed Ankvab's presidency as legitimate, nor does it intend to do so with his replacement. On Saturday, the parliament appointed its speaker Valery Bganba as interim president and voted to schedule early presidential election for Aug. 24. Ankvab initially denounced the move as unconstitutional, but later in his resignation statement said it was "politically acceptable." Bganba will serve as acting president until the election takes place. Abkhazia fought a war for independence from Georgia between 1992 and 1993, resulting in thousands of casualties. Abkhazia has remained under Russia's military protection since the breakup of the Soviet Union. Russia formally recognized its independence in 2008. "No matter whether it is Ankvab or someone else, they do not have any official capacity. Their standing does not correspond to the Georgian constitution or international law. At the same time, it is important for us to engage in dialogue with Abkhaz public," Zakareishvili told Interfax on Monday.